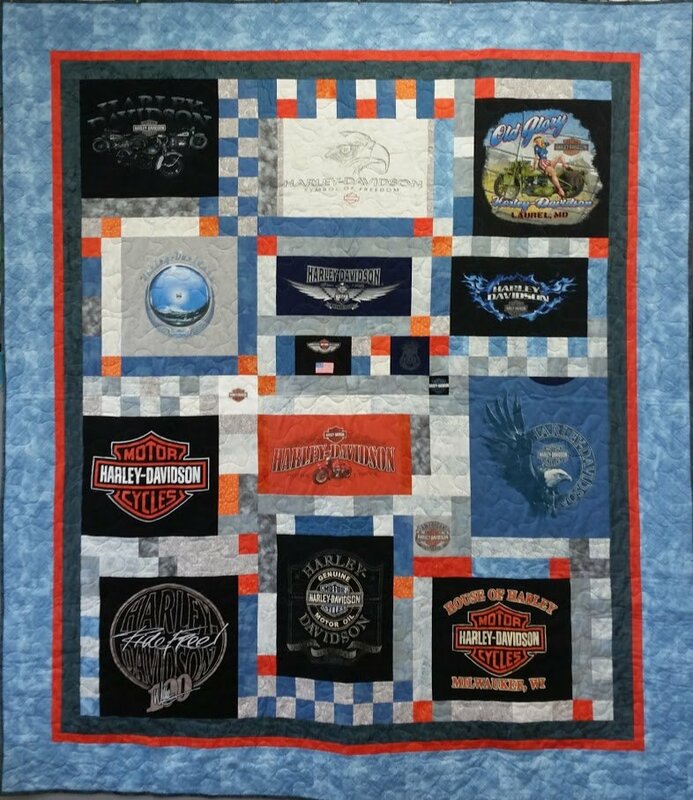 All the rage, T-shirt quilts are a great way to preserve memories. There a few tricks to working with those stretchy fabrics though. This is a two session class. In Session One you will learn how to prepare your tshirts for sewing and tricks for working with a knit fabric. In Session Two you get to design and start sewing your own One of a Kind Memory quilt.